Sankari's Sunshine Corner: Taylored Expressions Sneak Peeks - Day 3 !!!!!! 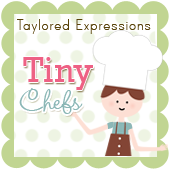 Welcome to Day 3 of Sneak Peeks over at Taylored Expressions, where today we are previewing some amazingly cute and adorable stamp sets being sneaked! - ALONG with some super cute LITTLE designers who are joining us today (more on that to come!!) 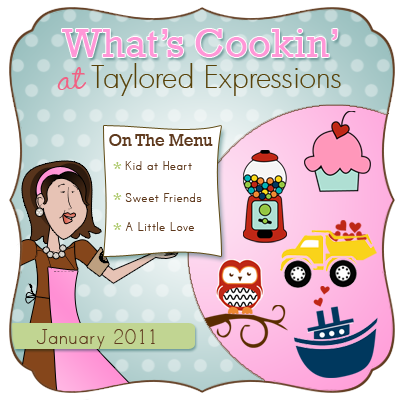 We are previewing three super seriously adorable stamp sets: A Little Love, Sweet Friends and and Kid at Heart. All of these will be available on Friday at 8am PST! The Valentine's Project Pantry Kit along with DP, cardstock, ribbon, brads, heart pins also comes with chipboard - I used the large postage stamp chipboard and embossed it in silver and the inner square I covered it in DP and some ribbon through which I put the Baker's Twine with the tag attached. The second card that I made uses the Kid at Heart stamp set that I know you are going to fall in love with because of its BEYOND cuteness! This set is perfect for both kids and all the adults who are also kids at heart! This is the perfect stamp set to create homemade Valentine's for classroom exchange - but it is perfect for birthdays, little love notes and just because cards. I used one of my favorite images from the stamp set - this cute little dinosaur - with the sentiment: "You're Dino-Mite!" LOL!!!! I used the super cute frame in the stamp set that I inked up in red and then cut out and popped up. I created a little scene for the dinosaur to climb up a mountain and added a little sun to the top of the mountain. 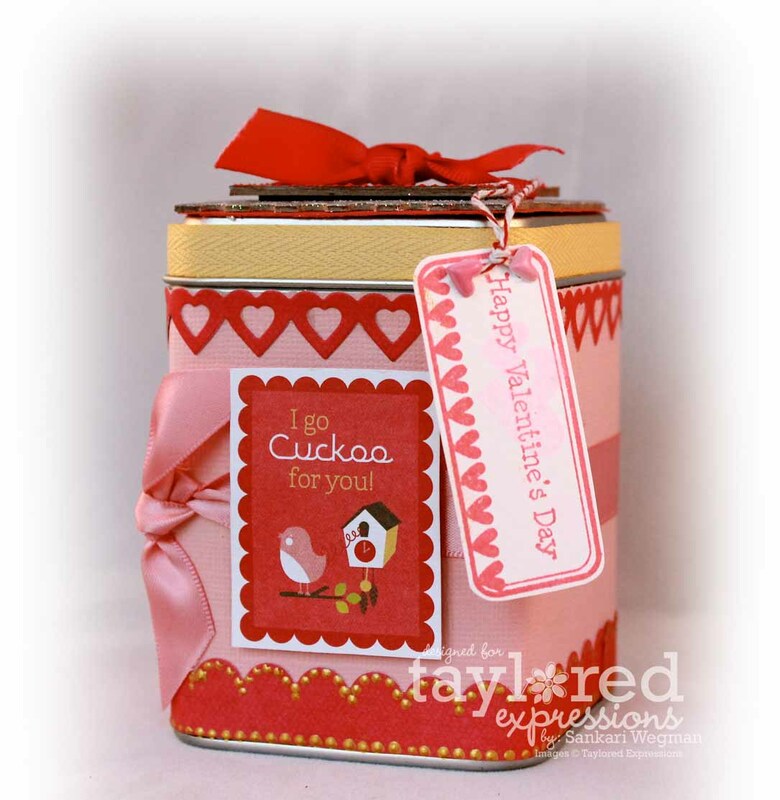 All the papers in this card and embellishments are from the Valentine's Project Pantry Kit.. I distressed some of the edges of the papers to give it that "dino" feel :)) It was such a fun card to create! And here is a closer look at his cards. He made the one with the purple cupcake for his sister because she loves purple! So cute! And I think one of my faves is the turtle image - where he stamped the sentiment upside down :) He was upset that it was upside down - but I told him that it was perfect that way and totally unique too! I think the best part of making these cards with him was getting to craft together - we had so much fun and he totally cracked me up! I thought that I would make a quick video of him crafting away - so here is a little video that I created of his craft process :) Please excuse my messy craft space - (how can a craft space ever stay clean is my question?) He loved watching this video and wants to make more cards and our 3 year old daughter who didn't really want to do it in the beginning now wants to make her own cards too!!! We are planning another craft afternoon this weekend and I can't wait to snap some more pics of my two tiny wee ones stamping!!! I can't wait to check out all the creations that the Baker's Dozen has created along with all the Tiny Super Cute Chefs that joined in on today's creations!!! Please stop in tomorrow for Release Day!! That has got to be the BEST video ever!! Jayanta is such a little professional and he stamped everything so well! I can't believe he did it all by himself! Cute box! Love the card! Fun details! Jayanta needs to go into television or develop his own stamp line!!! What an absolutely DARLING video, Sankari!! I LOVED listening to you "letting go of your stamp space"!!! Adorable....really made my day! Oh Sankari, that is the BEST video ever! Jayantha is soooo cute and a natural - he'll have his own arts and crafts show before too long - haha! Katie watched it with me and says she loves Uma :) I'm in love with her long hair - goodness! And you cracked me up when you mentioned letting go of your craft space - "just tap" hahaha! Cute video!! Jayantha did a great job on his cards. Ok that was the cutest video I have ever seen! He did an awesome job on those cards! Wow! Lots of work here! Oh wow!! Seriously, I have no words to express my amazement by Jayanta's expert card making and presenting skills - awesome!! This has totally made my day. This is so adorable! Love everything and your kids are precious!! OMGosh-- seriously, can you GET any cuter than that!! What a little doll-- he seriously needs to be a little movie star -- I was cracking up watching his arm right next to the stamp pad and I could feel your cringing of the stamp smush through the camera -- lol... Seriously adorable video! Loved it!! wow all this cards are adorable. Make sure you read all these comments to him so he knows how great he did. Sankari, thanks for the video. I love both the tin and the card. Jayanta is very professional!! OMG!!!! This was the most fun video to watch!!! What cuties you have!!! I just adore both of them and might I say the talent sure runs in the family!!!! The cards turned out super cute!!! Tell Jayanta, he is a pro and needs to keep stamping! Hugs to you all!!! What an adorable video! I was cracking up at your reaction to him inking up those stamps, etc. Too cute! 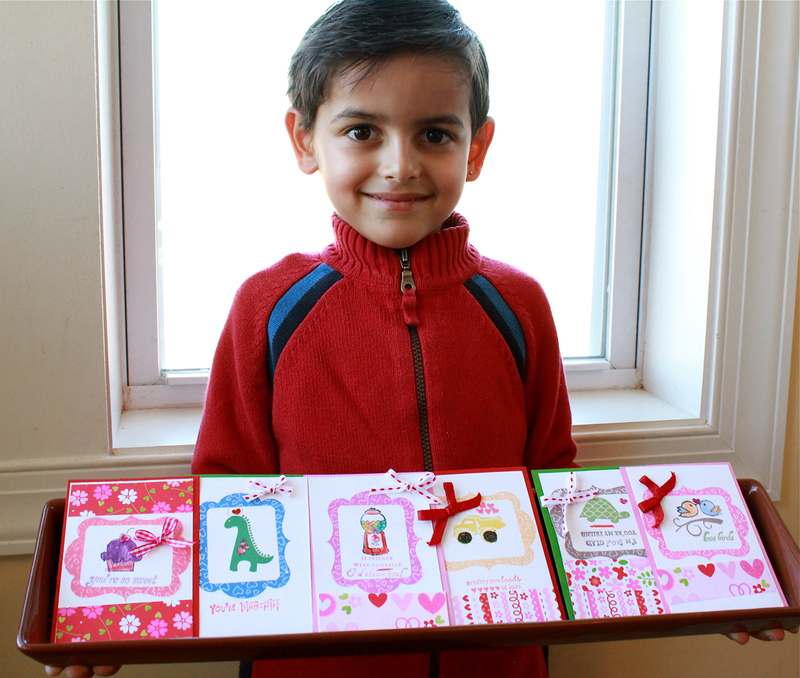 He did such an awesome job on his cards. Your children are beautiful! ADORABLE! I Love Jayantha's valentine and your video! I think you may have started something with sharing your craft supplies here but what FUN!!! Oh forgot to mention it was adorable watching the video and listening to your Son say Dino-Mite! What a GREAT video, and what adorable kids you have - Jayantha is a natural in front of the camera! U are all such a pro!!! I love it! I love to do this with my 4 year old granddaughter. Love your tin and that adorable dinosaur card! Super cute stuff. Your son looks too cute with his work, how adorable is that. I love seeing boys stamp, I had all my Boy Scouts stamp at the holidays and they loved it! Your daughter does look ready to go. what a wonderful video of your little ones and the new stamping rock stars in your family - way to go! Wowzers!!! 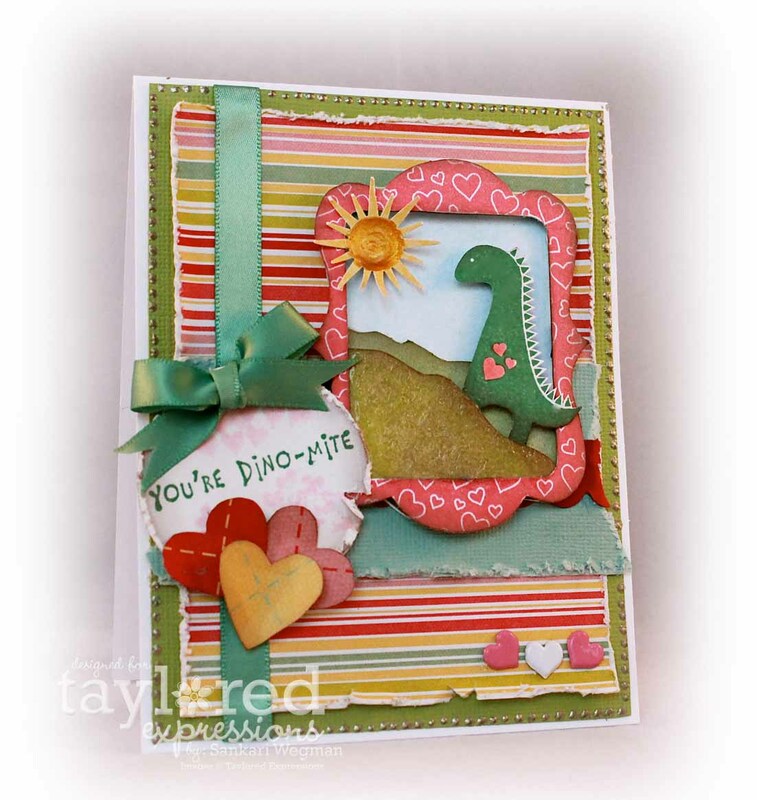 Jayanta's cards are definitely DINO-MITE!!!!! And that video...totally priceless!!!! I love the blah-blah-blah part!!! Oh yeah, Sankari, your's is awesome too!! That is the BEST video!!! He is SO awesome Sankari...a total natural! Meredith keeps making me put it on over and over..and over...and over! LOL! !